In the olden days there were no Poultry farms, like there are now a days, where Broiler Chickens are fed with hormones and specially bred to grow very big in a short span of time. In just 6 to 8 weeks they grow from cute fluffy chicks to hens that are ready for the table. In those days most families reared and bred their own Country and Fancy Fowls in their own homes, lovingly cared for and nurtured and fed with natural grains. The hens and chickens were allowed to roam and graze freely clucking and clacking away while pecking at the food on the ground. Our Mining Bunmgalow in KGF had a large garden around it and we had sufficient space for Fowl Runs and Hen Houses in our back garden. My mum was very fond of rearing hens, chickens, ducks and even turkeys. We had quite a number of White Leghorns, Rhode Island Reds, Black leghorns as well as many Country Fowls. We also had a few Roosters to keep the hens company!! The eggs laid by these hens were used for our breakfast every morning. My mum was very particular about the health of her poultry. She would always check and ensure that their eyes were bright, their nostrils dry, their feathers shiny and they were active and alert. Any deviation from this would mean that they were sick or under the weather. She would immediately separate the affected bird from the others and give it some ‘Omum water’ or some other medicine. 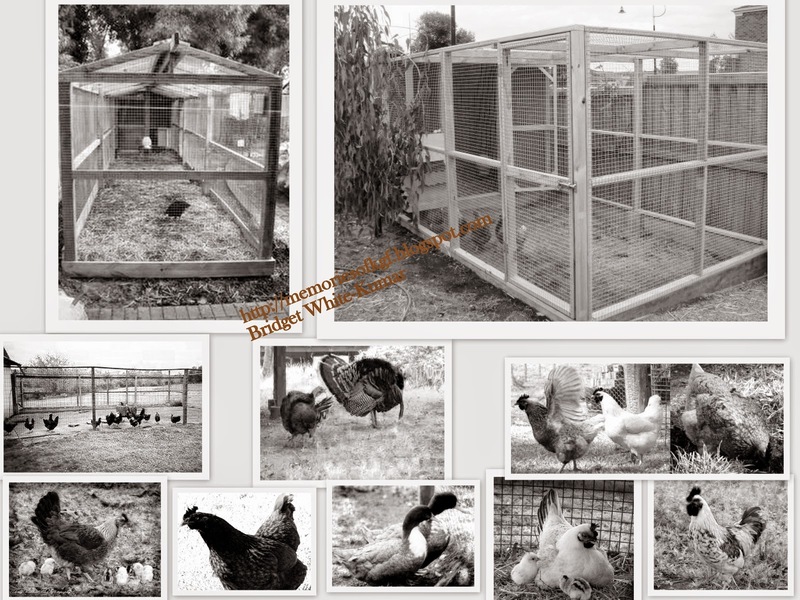 The hens were fed with grains such as wheat, millets, and also some left over household food and vegetable scraps. With all this special attention our poultry were real tasty and well nourished birds when they finally landed up on our dining table. When my mum noticed that a particular hen was nearing the ‘Broody’ season she would save all the eggs and mark them date wise. She would then arrange the eggs on a bed of soft sand, in a deep basket or ‘Makri’ and the hen would sit over the eggs for 21 days. We would eagerly wait for the eggs to hatch. My mum would leave grains and water near the hen so she wouldn’t get hungry. I still remember the delight and happiness we felt when the eggs hatched and the tiny chickens came out. The hen would then get very protective of her chicks and keep them under her for at least 10 more days. If any of us went close she’d try to peck us as she presumed that we wanted to take away her chicks!! After about 10 days my mum would shift the mother hen and the chicks to a separate Fowl Run. These little chicks would slowly grow and they would either be used for the table or again to hatch more chicks. The circle thus went on. My mum also reared Turkeys and ducks for Christmas and for our First Holy Communions. The turkeys and ducks reared in our house were always big and well fed. They were fattened up with a special diet of oil cakes, ragi and grain. The oil cakes were known as ‘PUNAK’ in Tamil and we loved saying this word ‘PUNAK’.